Here it is, my first Review (and about time too). So since this is my first review, I thought I’d start off with something a little special. Behold! 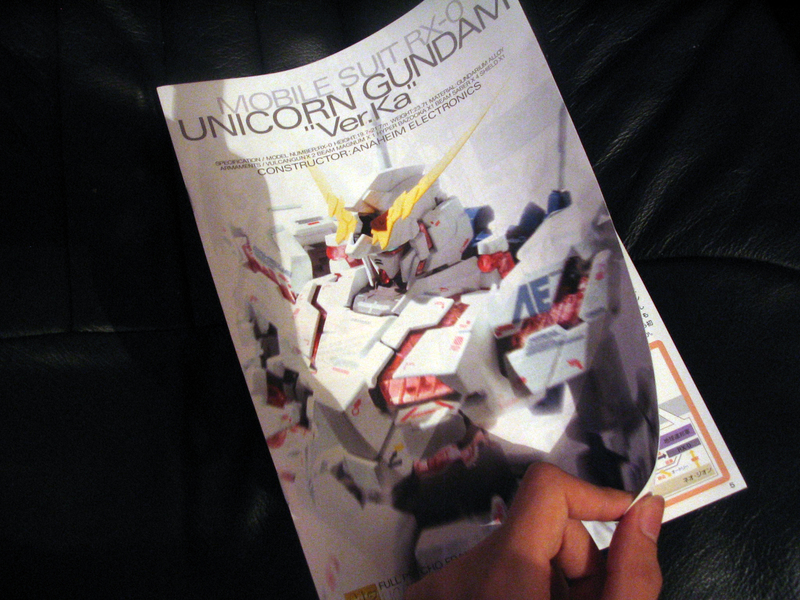 The epic that is, ‘Unicorn Gundam’! 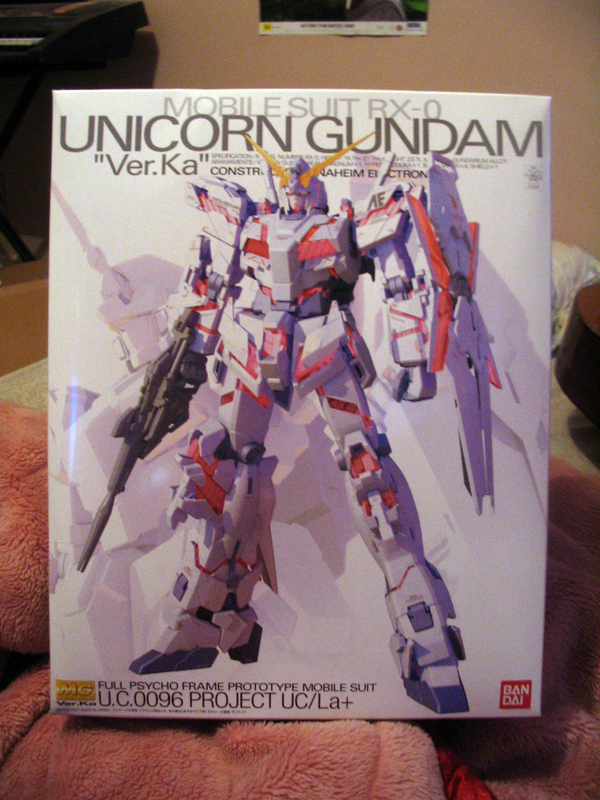 Now, getting my hand on this godly kit was, for lack of words, a bish. Okay I lied. I was one of the lucky ones and probably one of the first to get my dirty little loli hands (Did i just say that? .. Out loud?) on this impressive kit. 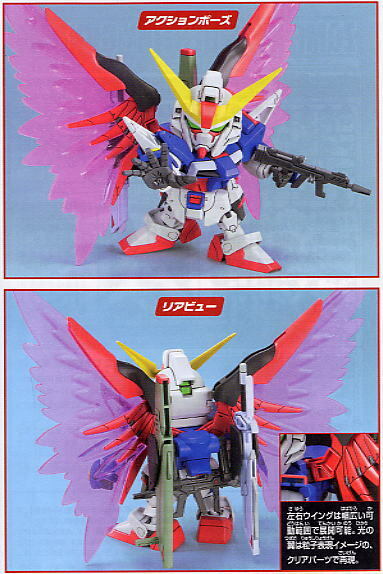 Upon first knowing about this kit I asked some of my friends for their opinion and feedback and all I got was negative ones. 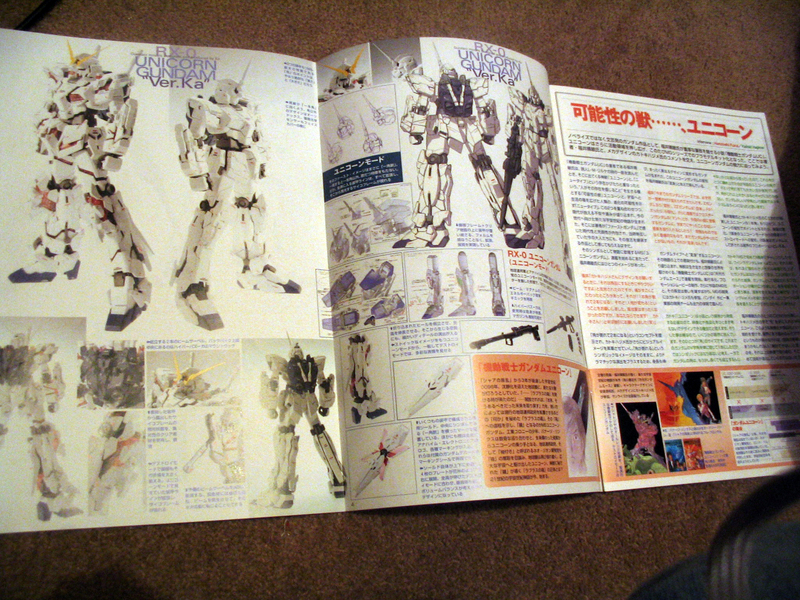 “It’s too white!” they would say, “Get an eva instead.” they would say. We’ll, screw them I say! I went with my gut and reserved this and when it finally came. All I can say is, “wow-ee”. Well, since this blog also does models. We should have one soon, so here’s one! 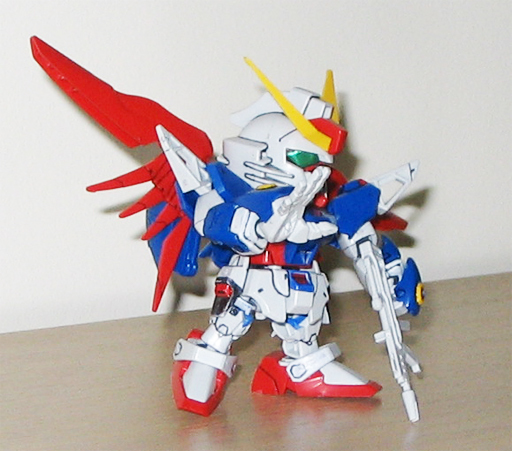 Most of my models haven’t been delivered yet, so here’s a SD Gundam for you. 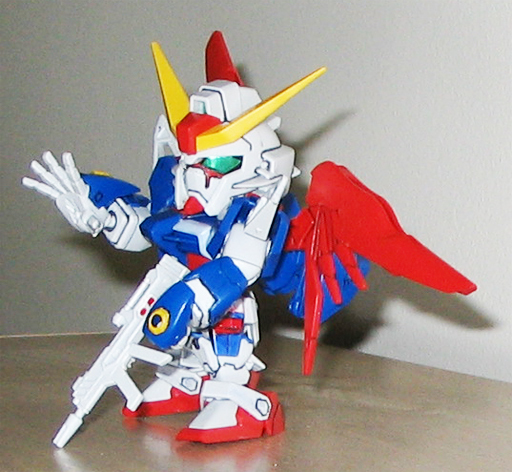 It’s a Destiny Gundam, made like a month or two ago. 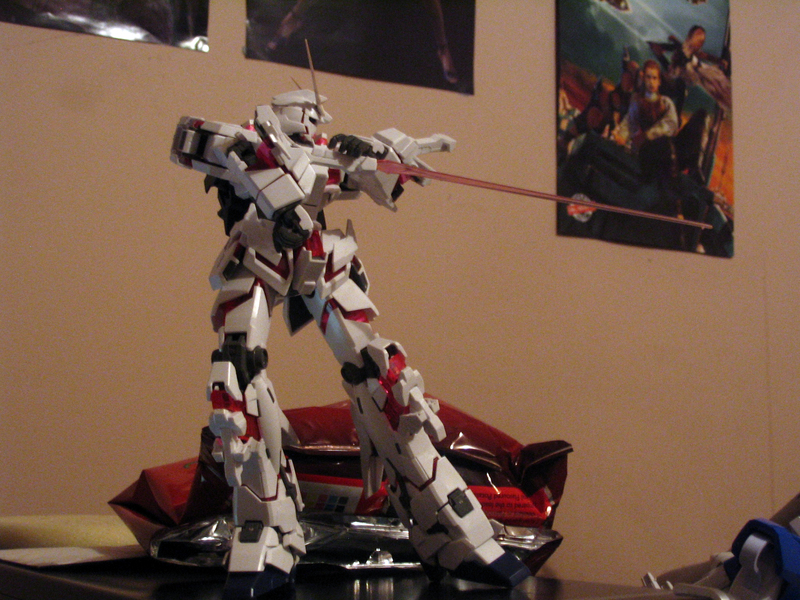 It’s been inked and painted, but I don’t actually have grey or black paint, so the weapons and hands are still white. Which they aren’t suppose to be. Anyway, it’s an SD, so you either love them, or you hate them. When xfenrir starts blogging there will be more models, he has lots of cash and lots of models. So it’ll be fun. I would add more pictures, thoughts, ratings, etc. But it’s a little straightfoward and not too serious a entry, so I won’t bother.